To all my descendants and fellow travelers on the road of life who hear the call and feel the divine drawing to come to the deep, I am writing this book to show you one of the paths you can take to the place of intimacy with the Lord Jesus Christ. 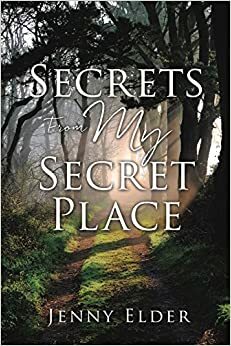 As I retrace my steps and relive my memories, I want to share some of the secrets from the "secret place," that the Lord used to change me forever-but most of all, I want to tell you about my divine love affair with Jesus. I realize that intimate moments between two lovers are best kept private and left behind closed doors, but my Lover, the Lover of my soul, has given me permission to share some of our love story with you. I want to tell you how He wooed me into the divine romance, caressing my soul with fresh revelations of His amazing love. I want to tell you how He manifested Himself to me through dreams and visions and brought me to the place where I finally realized, after years of feeling unworthy, I was His heart's desire. As you soak in some of the secrets hidden in this book, I pray they will swell in you as they did in me until they ultimately usher you into a place of intimacy with the King that you have never been before. I pray that you will have an encounter with Jesus and enjoy the revelation of His presence on every page-but before you begin I have just two requests. First, fasten your spiritual seat belts. Buckle up and hang on because the journey you are about to take with me will bring us to the place I now call a close encounter of the third kind-the Holy Ghost kind-which is full of surprises. Expect the unexpected. Secondly, I pray as you turn each page you will remember to: Eat Friends and Drink Deeply Oh Lovers. Song of Solomon 5:1 About the Author Jenny Elder has been a teacher of the Word of God for thirty-four years. She has taught at Bible studies and women's retreats, and was the women's ministry leader at Restoration Church for three years. Jenny and her husband Mark have two sons, two daughters-in-law, and four grandchildren.